Our live music for this afternoon is with Arran Harding from 2.30pm. 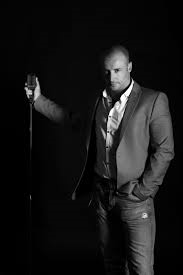 Arran is a fully trained Classical Singer, as well as performing all the hits from all of the genres; Rock, Soul, Pop, Motown, Jazz, Swing, Rock N Roll and all others. Non-Member's are welcome to join for a small fee entry of £2.00.